DAHLONEGA, GA — RefrigiWear’s Extreme Line of apparel underscores a growing need for both businesses and individuals—how to overcome an extremely cold environment to get the job done. This year, RefrigiWear extends its selection of Extreme apparel with new garments, headwear, footwear and gloves. Extreme HiVis Softshell Jacket and Overalls – In ANSI Compliant HiVis designs – to protect in low visibility environments, especially in frozen-food warehouses and those working outdoors in low-light. Extreme Softshell Hood – Our warmest hood ever with 18oz fleece lining and wind-tight softshell exterior. 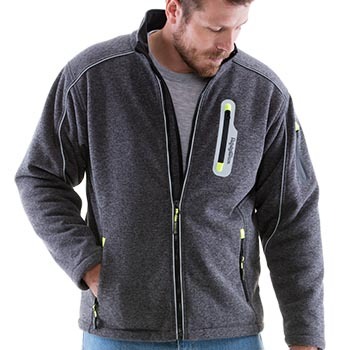 Extreme Sweater Jacket – More stylish, for managers and executives, but temperature rated to 10°F to still provide warmth. Extreme Freezer Glove and Mitt – Rated to -30°F to create our warmest glove and mitt. 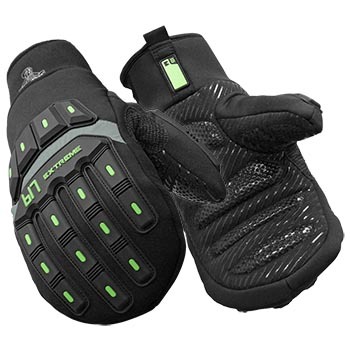 Additional features include impact protection on the back of hands and fingers as well as palm padding to reduce cold transfer when handling items. Extreme Freezer Boot – Built specifically for the coldest conditions, including special soles that don’t crack in the temperatures down to -40°F and feature great slip resistance for concrete, tile and other industrial-type floors. For more information on how the Extreme Softshell Line and other RefrigiWear products can protect you from the cold, contact RefrigiWear at 800-645-3744 or e-mail us at keepmewarm@refrigiwear.com.